The Mongol invasions of Japan. Sony Interactive Entertainment and inFAMOUS developer Sucker Punch announced Ghost of Tsushima for PlayStation 4 during the PlayStation Media Showcase at Paris Games Week 2017. I’ve been a fan of samurai comics since 5th grade, from Lone Wolf and Cub to Usagi Yojimbo. The types of characters, landscapes, betrayal, and sacrifice in those stories are a rich vein ready to be translated into a videogame. The artists and engineers here at Sucker Punch have brought this world to life on PlayStation 4, from tall grass blowing in the wind to the call of a far off crane, we want to make it feel real. All of what’s shown in our debut trailer was captured in our game engine, that’s the interactive world we’re painstakingly crafting together, that’s the world we’re going to set on fire. In 1274, the Mongol army invaded Japan, their first stop: Tsushima Island. 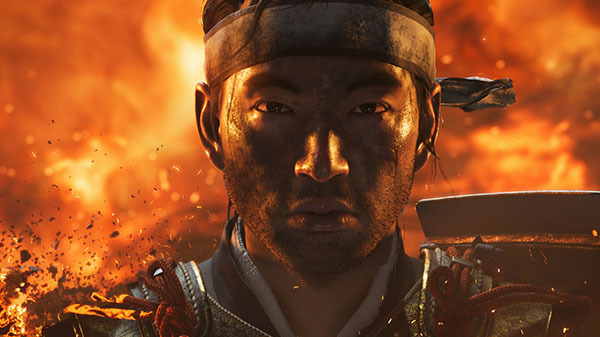 In Ghost of Tsushima, you play as a battered samurai, fighting back against overwhelming odds. In the trailer, you see the leader of the Mongols, a guy I would describe as an “uncomfortably reasonable killer” trying to intimidate our hero. It’s all there, right in that little scene. The power and confidence of the Mongol Empire coming face to face with pure, lethal, samurai determination. Watch the announcement trailer and a developer interview below. View the first set of screenshots at the gallery.